Oops! The last post should have been for Hunt 574 not 575. This is for Hunt 575. We are on the road in New Mexico. Hotel sketch on my iPad with the app, Brushes, and my Apple Pencil. I’m not fond of typing on my phone or iPad so this will be short. We celebrated Larry's birthday on Monday night so today by phone and messages. Our caboose is sooo old or maybe we are the old ones. I took a few photos today, mostly of the plains, oil wells and plowed cotton fields. We’ll see how they came out for posting here. Safe travels! 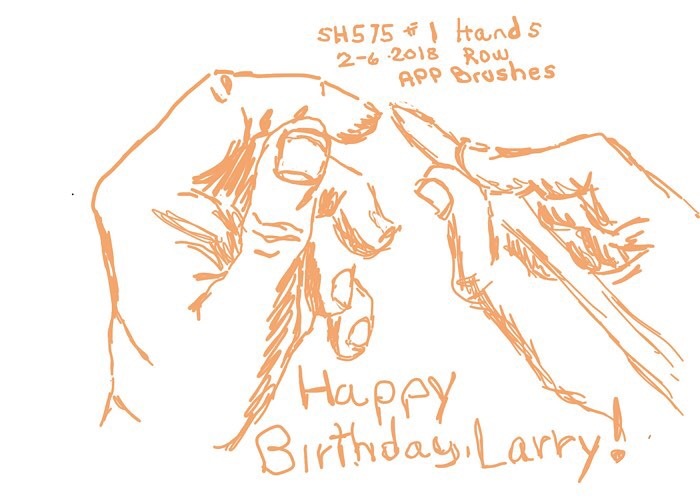 Happy birthday, Larry! Thanks, Bag Blog. 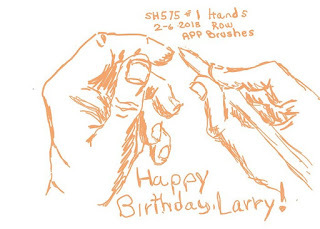 I’ll pass your birthday wishes to Larry.